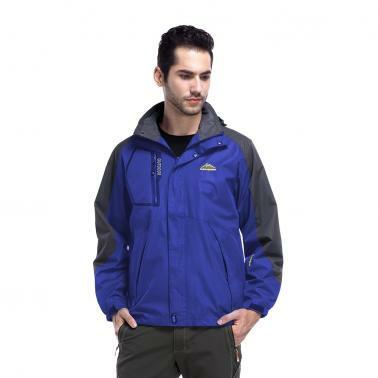 This jacket is windproof and water repellent, which can keep you warm when you are outside. It has many pockets to provide safe storage for your essentials. It is a great jacket for any outdoor activities in spring and autumn. The size chart is Asian size, please check it carefully before you place an order. Size is optional: L= Chest 44.1in / XL= Chest 45.7in / XXL= Chest 47.2in / 3XL= Chest 48.8in / 4XL= Chest 50.4in / 5XL= Chest 52.0in. 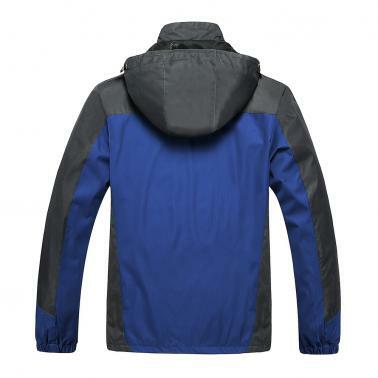 Premium lightweight polyester fabric with water repellent coating keeps your body dry. Soft fleece liner makes you comfortable and warm while also providing superior breathability. Stretchable cuffs with adjustable fastener tape closure help to keep wind out. Stand collar and detachable adjustable hood provide double protection against elements. Multi pockets for safe storage: 2 zippered hand pockets, 1 taped zippered chest pocket for cards or passports, 1 internal pocket for wallet, cellphone and other valuables. 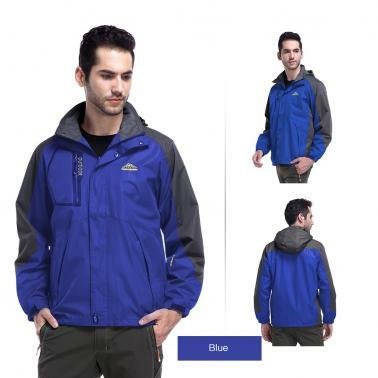 Great jacket for spring and autumn activities: hiking, camping, fishing, cycling, mountaineering, running, traveling and more. 1. This clothing size information is just for reference only, please check the above detailed measurement to chose the correct size, and allow 1-3cm (0.4-1.2") differences due to manual measurement, thanks.